Love how Grace is ever changing, growing, and surprising with her sound! 'Midnight' does not disappoint and is a magical addition to my music collection. Fan for LIFE! She could put out an album of her singing the phone book and I'd buy it! Keep Rockin, Grace and bandmates! 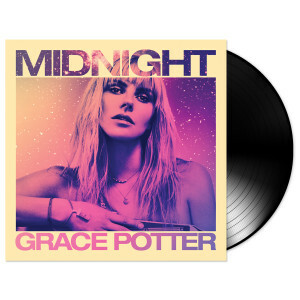 I love the new vinyl that I purchased from the Grace Potter Fan club store; it arrived promptly and in excellent condition. What an amazing album!! It makes a regular rotation in my music listening. Was lucky enough to get an autographed copy. Looking forward to seeing Grace in St. Louis on October 17th. Wish there was a meet-and-greet would love to meet her in person. It will be a great concert I am sure.